The Reese Round Bar Weight Distributing Hitch features easy-to-use adjusting blocks for easier and faster ball mount angle adjustment. 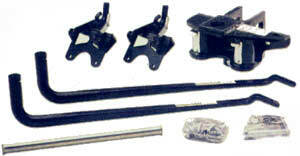 It includes a one-piece cast head, spring bars with integrated cam, snap-up brackets, and chains. 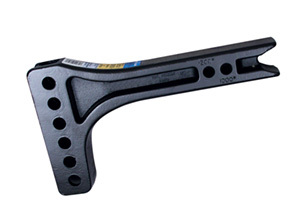 Spring bars include an integrated cam for use with optional dual cam sway control. Tongue Wt. Gross Trailer Wt.